A military knife should be solid and strong, as well as useful. And this Black Military Utility Knife is just that, possessing a versatile design and a hardy construction that makes this a self-defense tool and a survival implement, all rolled into one. 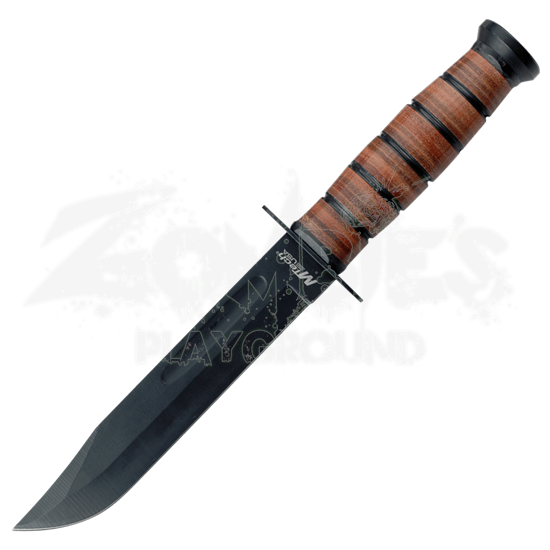 This knife echoes the classic look of the legendary KA-BAR knife that was made famous by the military, featuring a matching black blade and a brown leather-wrapped handle. The blackened blade is made from 440 stainless steel, and it features a subtle clip point design that is perfect for cutting, slicing, stabbing, and piercing. The blade also features a shallow, broad fuller that helps to reduce the weight of the knife without compromising its strength. The leather handle, with its ribbed design, provides a secure grip, while the included brown leather sheath makes it easy to carry and store this knife away. 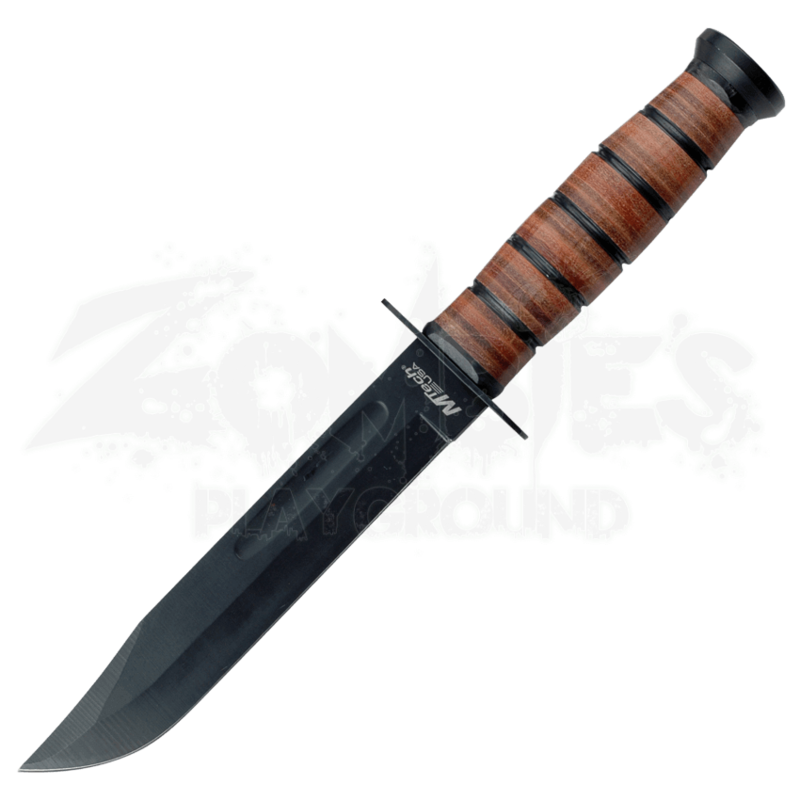 An iconic military look serves this knife well, just as its solid and reliable form make this Black Military Utility Knife a tool to turn to again and again, any time you need a hardy knife that will not soon let you down.